THE DARK WORLD OF PHIL ANSELMO AND THE RETURN OF JOE WHO? OK, you Worm-freaks know the Good Doctor is a master of hype and hoopla, but this time you gotta believe me when I tell you we have something MASSIVE on tap for you this week. 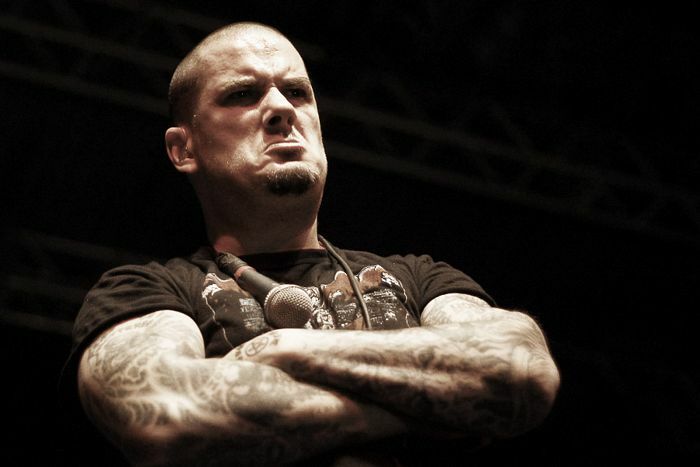 I was recently lucky enough to interview one of the biggest and most polarizing metal personalities of our modern era, none other than MR. PHILIP ANSELMO! The result went better than my wildest dreams. Phil and I had a great chat discussing a ton of subjects, but mostly our mutual love of horror in all its myriad forms. Here is just some of what we cover..."Night Gallery", Coffin Joe, horror comics, oldschool pro wrestling, various horror icons including Boris Karloff, Peter Cushing and Henry Daniell, Phil's upcoming solo album, and most importantly, the upcoming HOUSECORE HORROR FILM FESTIVAL that Phil is putting together. I hope you enjoy reading this rambling conversation between two kindred spirits as much as I did participating in it. You can read the full interview HERE! BONE SICKNESS "Alone In The Grave"
REVEL IN FLESH "Manifested Darkness"
TERRORIST "And Then Life Was Death"
NECROCURSE "Grip of the Dead"